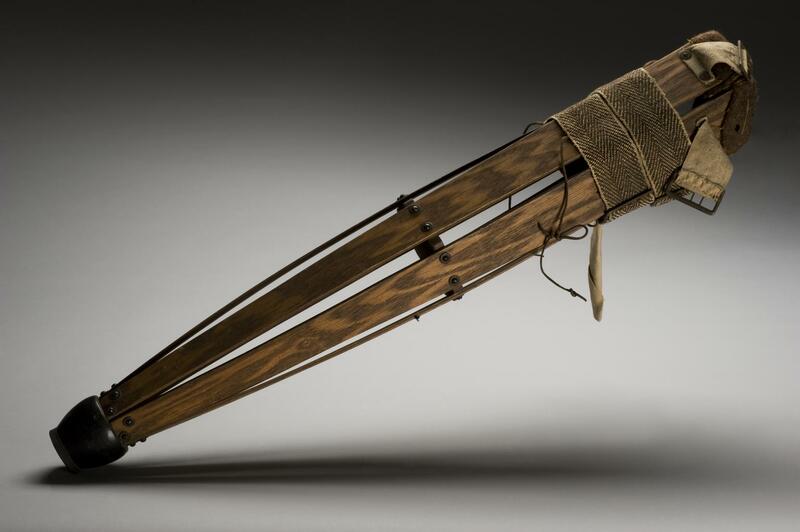 Made from six wooden slats, this simple artificial leg, known as a pylon leg, would have been issued to a wounded serviceman whose leg had been amputated above the knee. As the leg does not bend, the wearer would be able to walk with the aid of crutches. 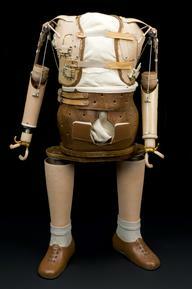 Pylon prostheses like this were intended to help the amputee get used to the idea and feel of an artificial leg until a more permanent and tailor-made leg could be crafted. 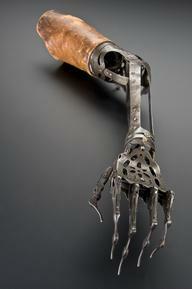 Overall, 41,000 British servicemen lost one or more limbs during the First World War.